Details & studying EVERY single move. Jasan has been all about the lawn mower and related mechanical outdoor items forever. 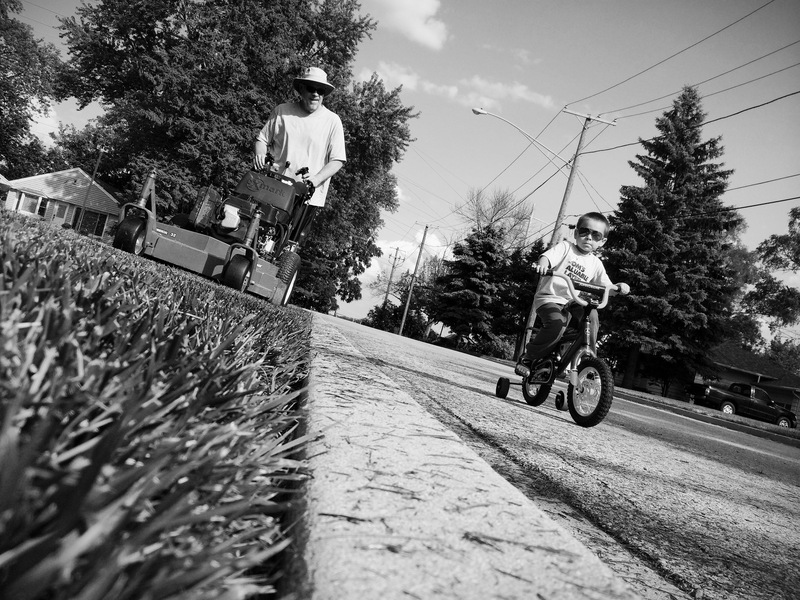 His Grampie is very detailed about his lawn and during the summer, all the cool landscaping tools are out being utilized. 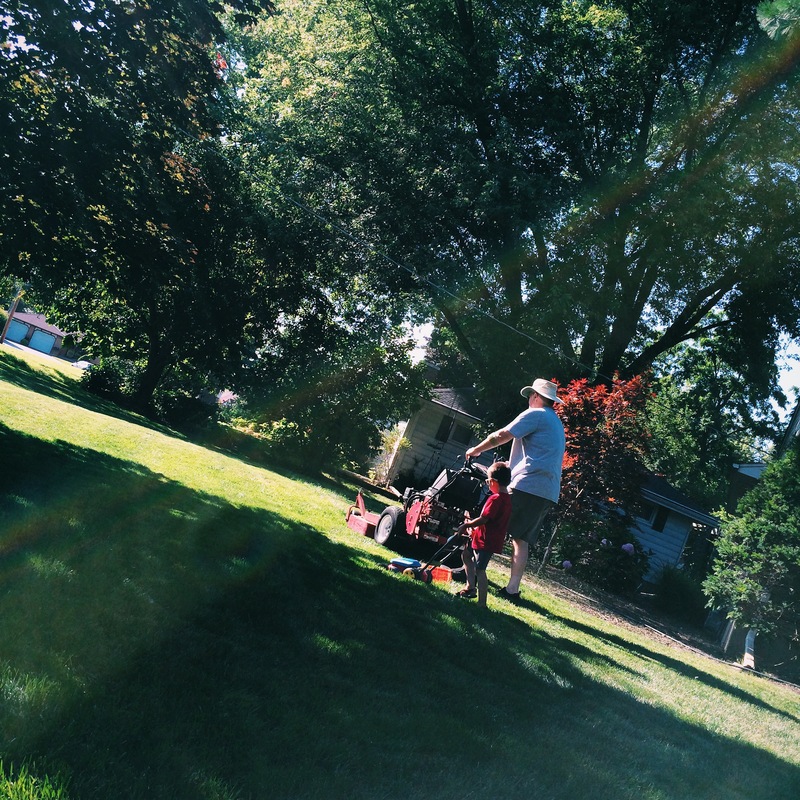 I know that being interested in the lawnmower is a typical boy thing, but what I found to be interesting about this recent scenario (pictured above) was how Jasan was interpreting and acting out the mowing experience now that he is older. 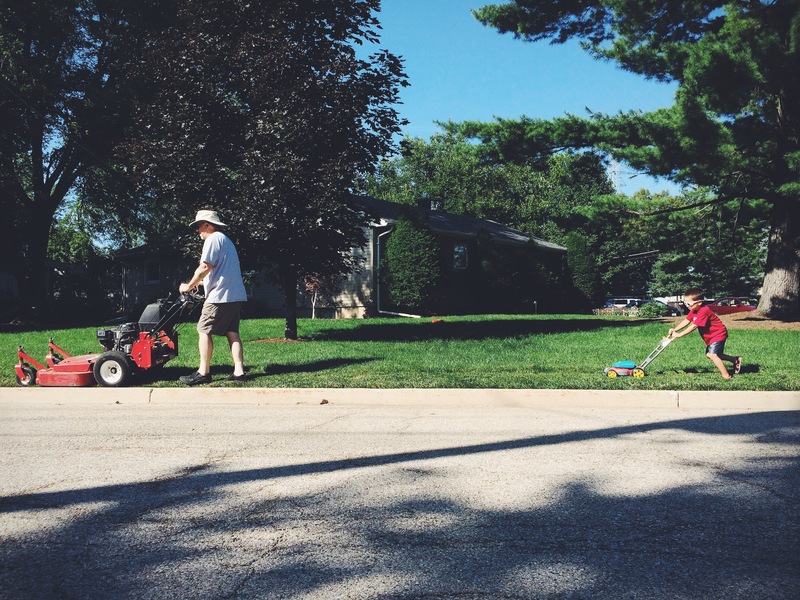 What I found to be mesmerizing is, for example, how he was waiting for the EXACT moment to turn his bike the same direction Matt would move the lawnmower…EVERY TIME. Jasan learns so much by acting out his experiences. It’s almost as if he puts his body and mind into what is happening literally right next to what is actually going on. He is taking in new information, studying it, and simultaneously acting it out with his body no matter what he may be doing (like riding his bicycle.) He does this often in so many different areas of life and it’s fascinating! Then…this happened a few days ago. 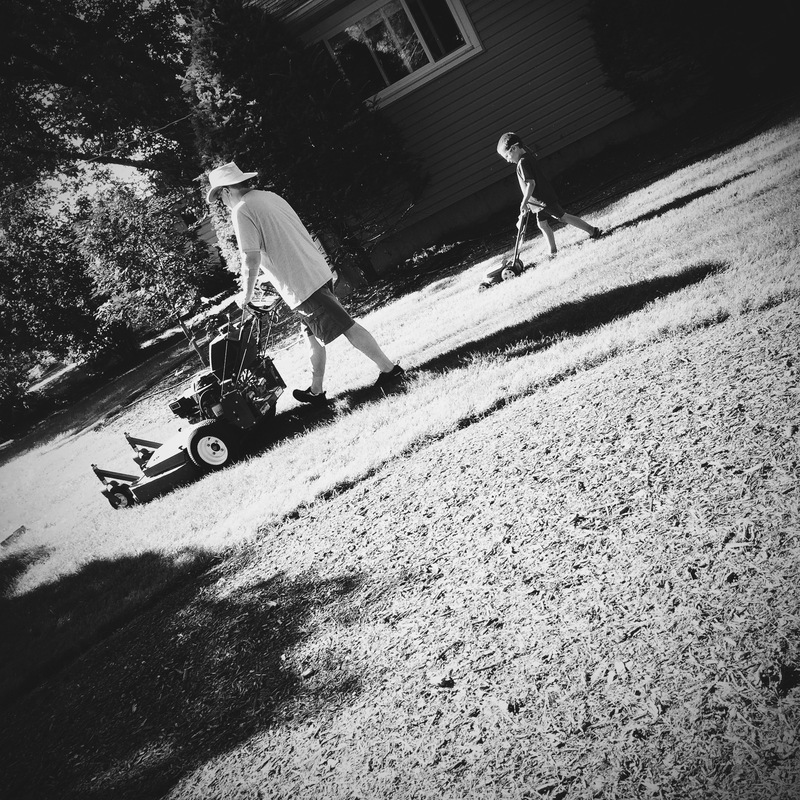 Matt started mowing again and Jasan immediately dropped what he was doing, grabbed his little lawnmower and mimicked every little thing Matt did. Not just for part of the lawn and then lost interest, but for the whole thing. 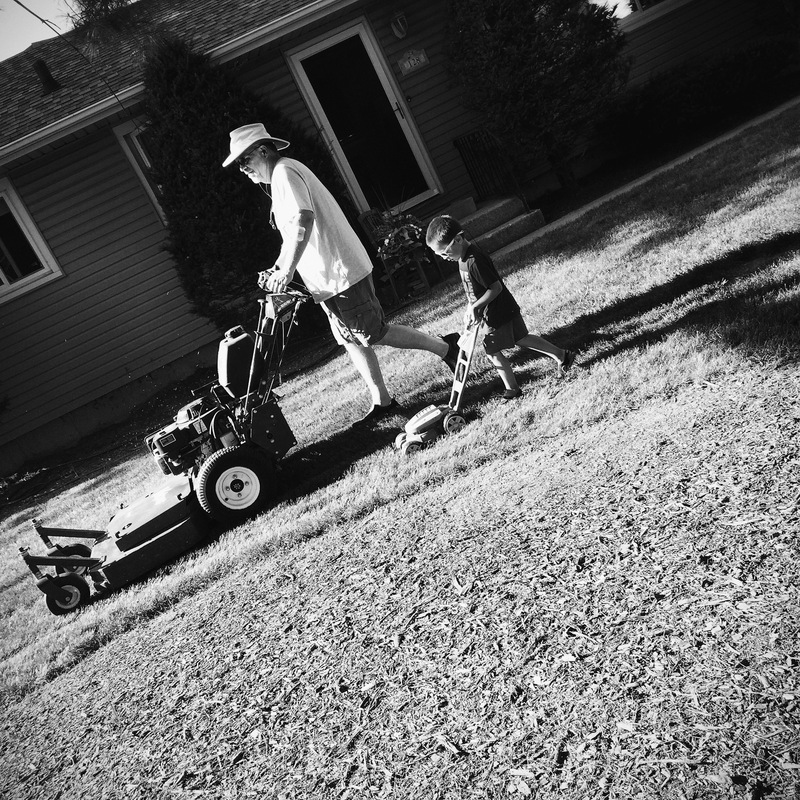 Every time Matt pushed a button or moved a lever, Jasan did the exact same movement on his little mower.